The most important and confusing diagnosis can be a patient presenting chest pain with suspected Acute Coronary Syndrome. This symptom of Chest pain has got a large number of differential diagnosis, and it becomes the duty of the physician to first rule of out ACS. Once suspected, all patients undergo a number of lengthy and diagnostic procedures where only a few a ultimately diagnosed with the diagnosis of ACS. Standard Troponins assessments ( both I and T) take more than three hours to reach a conclusion, and indeed have got a higher threshold of detection. In this scenario, High Senstivity Troponin essays have been proposed to have good reliability while having a low threshold of detection for excluding ACS and identifying patients, suitable for immediate discharge. 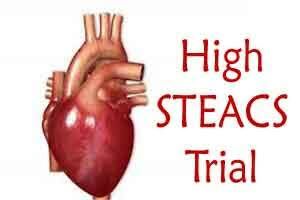 In High STEACS trial, Shah et al conducted a prospective cohort study of 6304 consecutively enrolled patients with suspected ACS presenting to 4 secondary and tertiary care hospitals in Scotland.Plasma troponin concentrations were measured at presentation using a high-sensitivity cardiac troponin I (hs-cTnI) assay. The researchers evaluated the negative predictive value of a range of troponin thresholds for the primary outcome of index (type 1) myocardial infarction (MI), or subsequent MI or cardiac death at 30 days. In patients without MI at presentation, troponin I concentrations were <5 ng/L in 61% of patients, yielding a negative predictive value of 99.6% for the primary outcome. This finding made the researchers conclude that the hs-cTnI assay tested here was able to identify about two-thirds of patients at very low risk of cardiac events who could be quickly and safely discharged from hospital without further testing. Even the accompanying editorial comments find this methodology ” highly promising”, though advising a word of caution. “The ultimate validation for the safety and efficacy of discharging patients with cardiac troponin concentrations less than 5 ng/L will be the report of clinical outcomes after this threshold is implemented in routine clinical practice,” wrote the editorialists. Shah AS, Anand A, Sandoval Y, et al (Mills NL, senior author).High-sensitivity cardiac troponin I at presentation in patients with suspected acute coronary syndrome: a cohort study. Lancet 2014; 386: 2481-88.